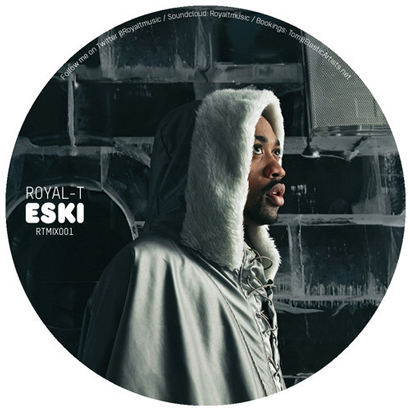 Mix, artwork and words written by Royal-T: “Eski, or Eskibeat – as it is also known, was a genre of music founded and lead in the early 2000’s by MC and producer Wiley. Crediting the majority of his songs around this time under the name ‘Wiley Kat’, he established the record label ‘Wiley Kat Records’ from which the first notable Eski tunes were released. This includes the track ‘Eskimo’, which set the cold, winter themed tone that defined the genre. Further releases would include ‘Ice Rink’, ‘Snowman’ and ‘Frostbite’, among others, which eventually lead to Wiley releasing his first studio album with XL Recordings, entitled: ‘Treddin’ on Thin Ice’. The popularity of the Eski sound influenced other producers such as ‘Musical Mobb’, ‘Starfox’ and ‘Dr. Venom’ to experiment with sounds of a similar nature. Emerging from the veins of the Garage scene, the beats grew darker and the vibes got colder. It was this signature sound that would come to solidify the Eski era as one of the most important times in the UK underground Electronic dance music scene, and as the birth place of Grime. Speaking on the time period himself, Wiley was quoted as saying: “Sometimes I just feel cold hearted. I felt cold at that time, towards my family, towards everyone. That’s why I used those names”. Future Classic: Boogat "Eres Hecha Para Mí"